This composite image shows the location of the accidentally discovered dwarf galaxy Bedin I behind the globular cluster NGC 6752. 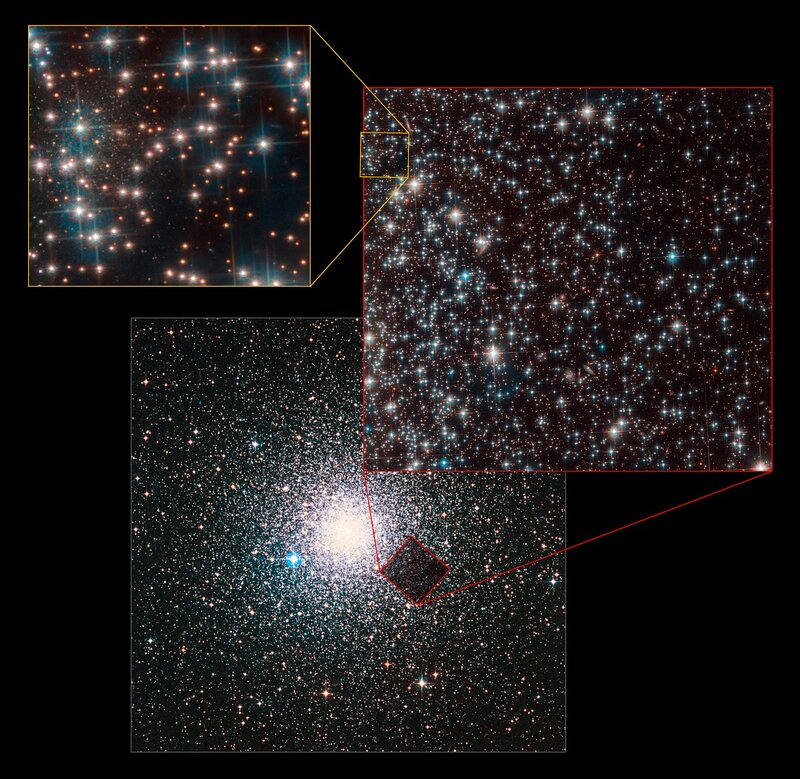 The lower image, depicting the complete cluster, is a ground-based observation from the Digitized Sky Survey 2. The upper right image shows the full field of view of the NASA/ESA Hubble Space Telescope. The upper left one highlights the part containing the galaxy Bedin I.